So, you're dating someone new and it's date night. Where do you bring them? What kind of mood do you want to create? How can you make it unique? 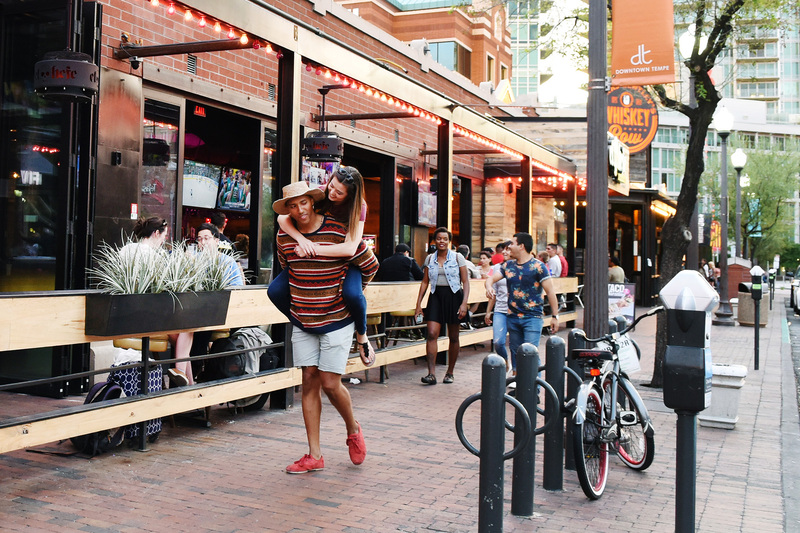 In Downtown Tempe, we are lucky to have a plethora of options for date night... Somewhere out there in the big ol' land between Farmer & College lies the perfect date night, just waiting for you. 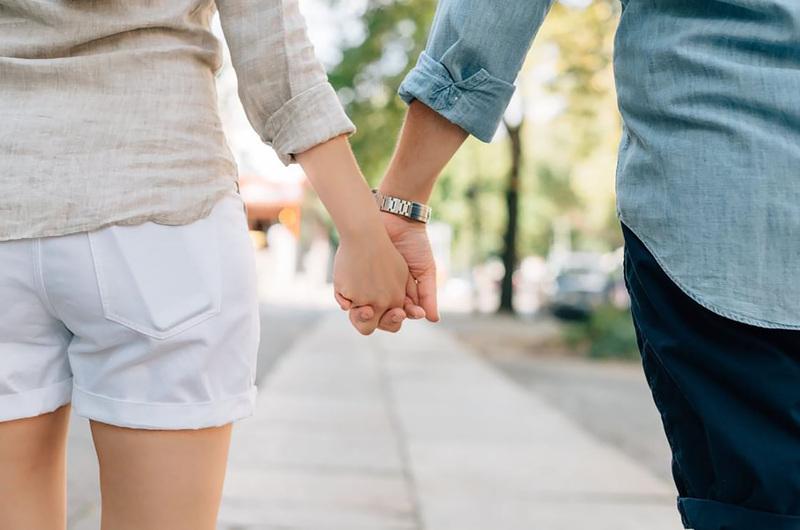 From fancy-schmancy to the low-key... you can count on Downtown Tempe to foster your one of a kind love. However, with so many great options at our fingertips right, it can be hard to narrow down the perfect activities to fit your mood. Never fear, I'm here to help. Get all gussied up and indulge in the Sweet Mustard Glazed Campbell River Salmon at House of Tricks. After dinner (and possibly a Toasted Carmel Whiskey? ), head over to Gammage to feast your eyes and ears on Beautiful - The Carole King Musical. Start your Sunday afternoon with a workout that you can make as mild or challenging as you want - a one mile hike on ‘A’ Mountain. After you grab a super kewwwwiitttt selfie at the top, head over to the Original Chop Shop Co. to rehydrate and refuel over Cold Brew and Egg + Veggie Hash. Once you’ve satisfied your hunger, swing through 6th Street Park - this is where 6th Street Market goes down every Sunday. Here, you can take part in the outdoor donation based yoga class by Yoga to the People, check out local art, handmade goods, and live music! *TIP* Get your girl all googley-eyed by purchasing her a pair of earring, a hand-poured candle, or a Nutella Crepe… trust me. Enjoy a couple of Hop Knots over live music at Beyond the Bricks. This weekly music series runs every Thursday evening, and it’s free! Between the cozy outside venue, Four Peaks beer, and great music to talk about, you're stacked with things to talk about if an awkward silence tries to make an appearance. Low pressure - check! Cute & cozy - check! Unique and quirky - check! Less distraction = more time for smooching. Simplicity is key with this slow-paced evening with your honey. 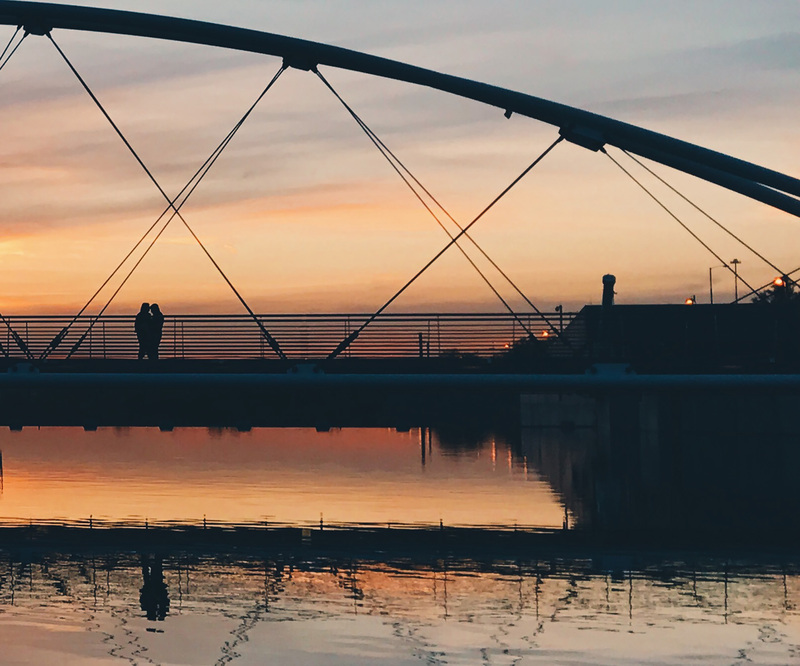 A walk across the ped bridge around sunset would be the perfect way to end your day together. Seriously, it's quite romantic... this year it was the go-to spot for one ridiculously adorable marriage proposal ...and even a wedding! After taking in those cotton candy colored skies over Tempe Town Lake, treat yourselves with a Red Velvet + Salted Caramel ice cream sandwich at Slickables. Now that is a sweet date night. Want to laugh until it hurts while also testing your mate's mystery-solving skills and ability to go with the flow? If so, you NEED to check out Escape Zone. Here, you’ll take a vacation to Central America, where you’ll then be thrown into jail and you’ll need to escape before the guard gets back. If you don’t find a way out, you might as well kiss each other goodbye. 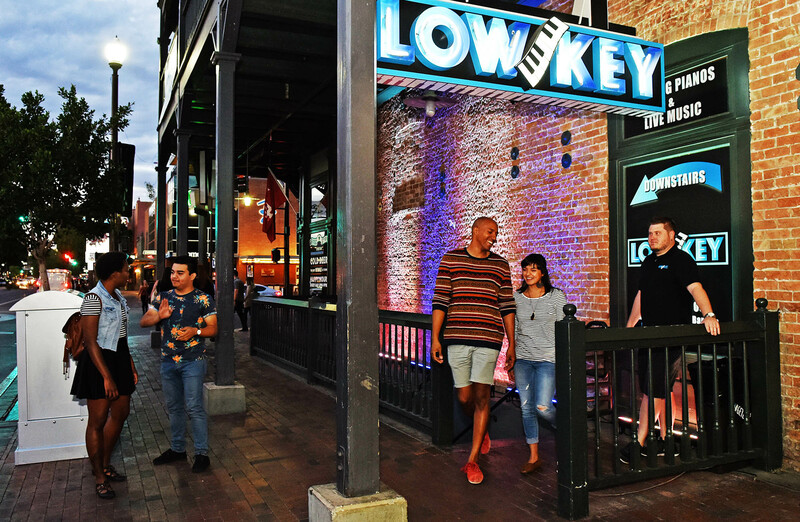 If you’re sly enough to escape, you should run to Low Key Piano Bar. Nothing like a Long Island Fish Bowl and dueling pianos to celebrate your jailbreak! If you’re in the mood for the good ol' dinner + a movie date night, it's pretty clear that your options are endless. We’re lucky to have AMC Theater smack dab in the middle of Downtown Tempe. With their reclining seats… you might want to make it a double feature. Pedal Haus Brewery, AMC’s closest neighbor, is an excellent place to grab an IPA and a plate of pub style chicken wings before your flick. Enjoy over a game of corn hole, or nestle into one of their fire pit tables on the patio. *TIP* Tuesdays are for lovers… and saving money, apparently. La Bocca offers a killer deal on Tuesdays - $20 for a pizza and a bottle of wine. Plus, if you’re an AMC Stubs member, you score Tuesday movie tickets for up to $8 off! Perfect! What other places in Downtown Tempe make for great dates? 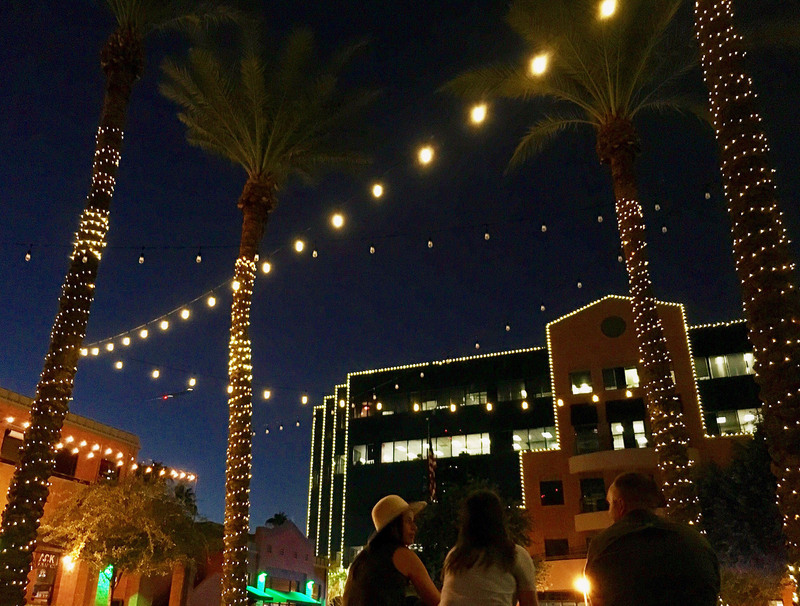 Share by tagging your photos with #DowntownTempe !